My acquisition of new kites has continued. I obtained two more White Bird dragons on eBay this week. Months and months go by and White Bird kites are hard to come by. 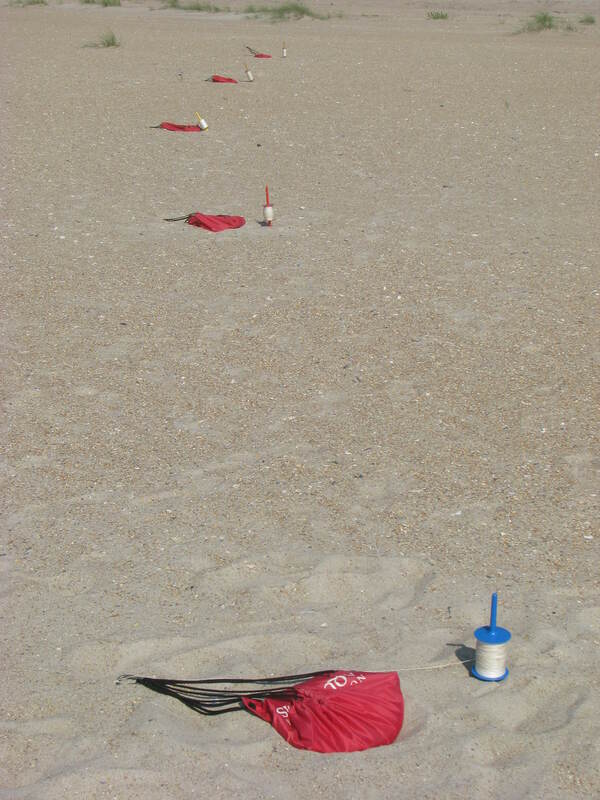 Then there is an influx of them as people empty their kite bags for one reason or another. So the latest additions to my collection are a 25 ft. Rainbow dragon and a 25 ft. Sun Face dragon. The Rainbow dragon completes a set of Rainbow dragons of varying sizes. Putting them up at one time should look pretty impressive in the sky. The Sun Face adds another unique sail design to my collection. The hard part about getting new kites is not being able to fly them when they arrive. 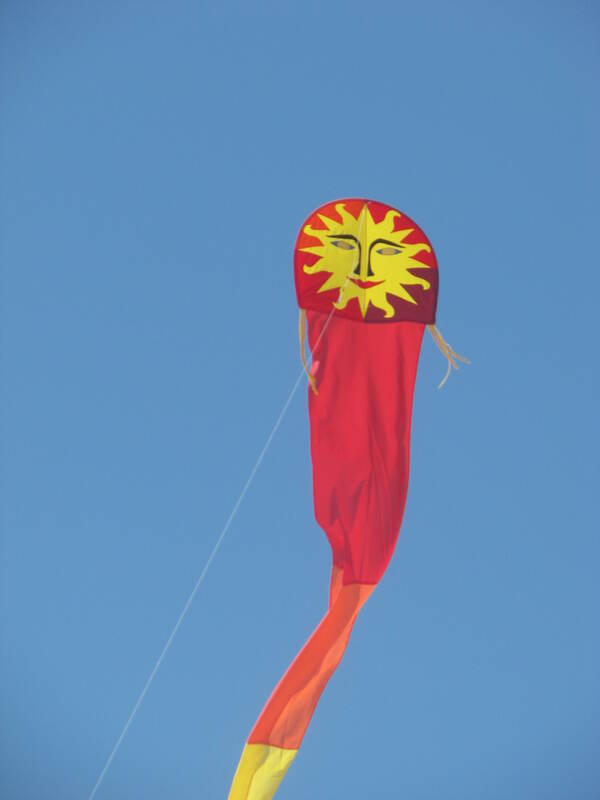 We had house guests for the weekend and we missed the weekly kite club fly at Fort Macon State Park. This seems to be happening more and more often lately. 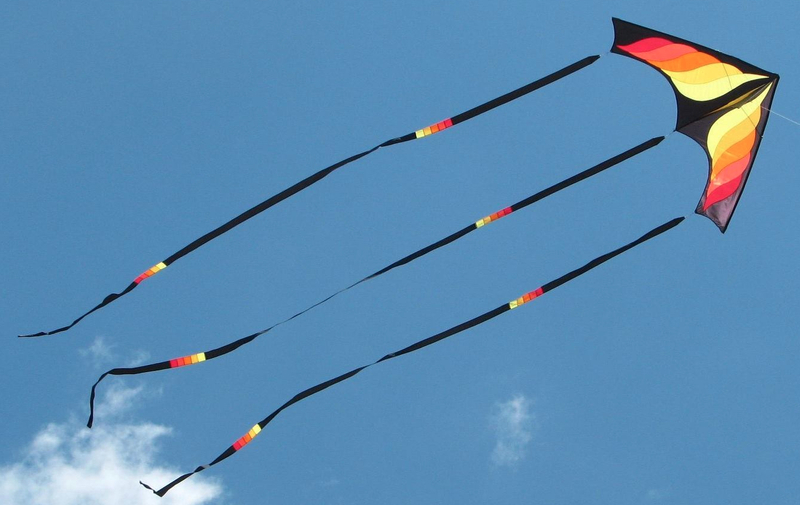 Though I’m not complaining, I do have to get my kite fix or suffer withdrawal. So this afternoon I went to the beach and flew all of my latest White Bird additions. 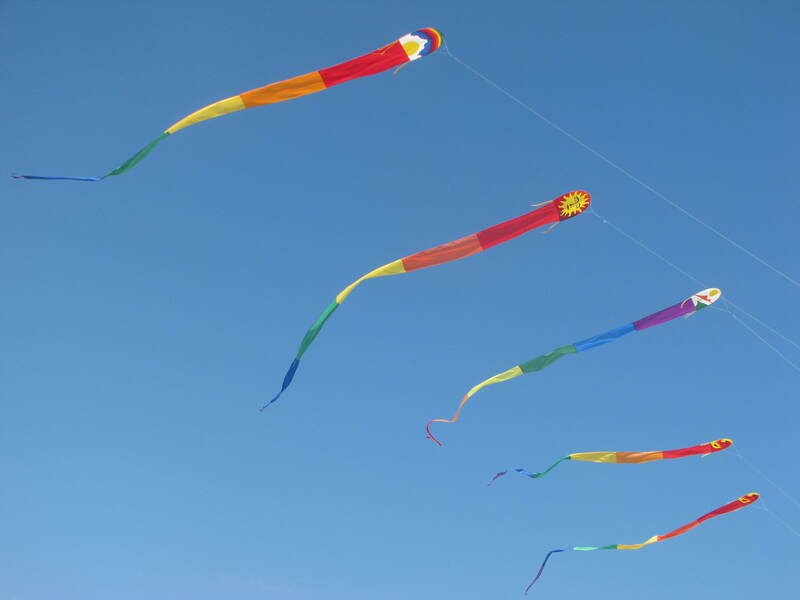 Five dragon kites in the sky. What a wondrous sight. The two on the left are the latest additions. 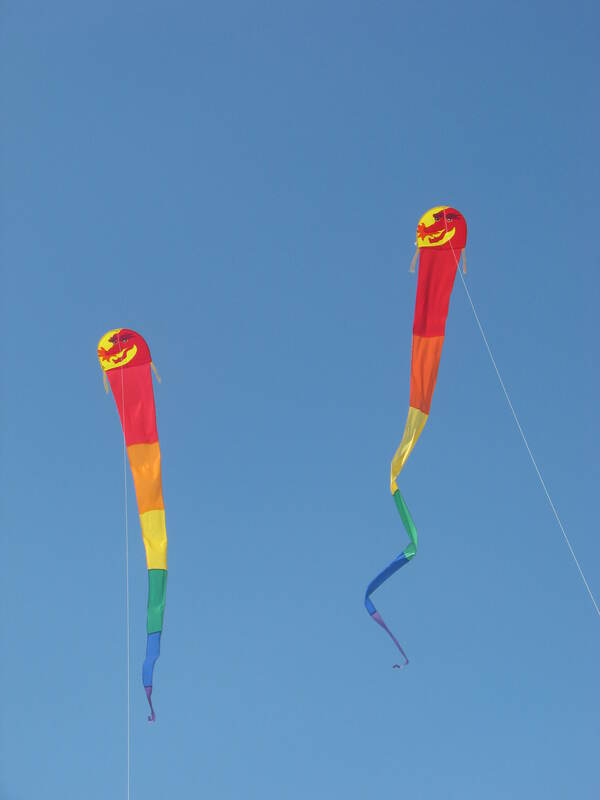 The middle kite is the White Bird Golden Gate dragon. The two on the right are both White Bird Friendly Dragon dragons. I think of them as the brothers and, true to form, they fought in the sky, tangled their lines and brought each other down. I had to separate them. It was a great day at the beach. The wind was not too strong and the temperature was not too hot. I would have liked to stay longer but I was given a dinner invitation that I couldn’t refuse. It meant I didn’t have to cook and I didn’t have to do the dishes. 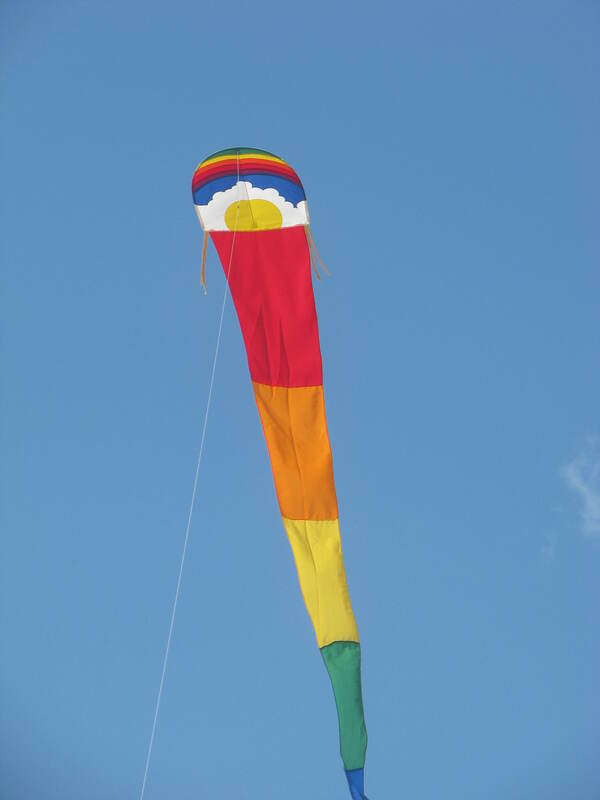 And if you’re wondering how one person flies five kites at once. Here’s our secret (which is not really a secret at all). Sand bags made from inexpensive nylon backpacks.